Differential Diagnosis: What Else Might Your Illness Be? You've experienced symptoms of a medical problem, visited one or more doctors, and have undergone medical tests. Now your doctor will use all that evidence to arrive at your diagnosis, the conclusion as to what is wrong with you. And sometimes, that system works. Other times, you'll find you have been misdiagnosed, or that the doctor will fail to diagnose you at all. The frequency of missed or misdiagnoses is way too high, so it is that much more important that we patients understand how doctors diagnose us, and what we can do to confirm he or she has arrived at the right answer. How does your doctor figure out your diagnosis? His thought process should work like that of a detective. Using clues drawn from your descriptions of symptoms, your medical tests, his knowledge of medicine, and additional input, your doctor will make a list of all the possible diagnoses that could explain what is medically wrong with you. Most patients think the next step is to ask about options for treatment. After all, they want to know how to fix or cure whatever their health problem is. But you, the empowered patient, know better. Or at least you will, once you've learned what to do next. Ask your doctor, "What else can it be?" These five words can make a major difference in your care. It's important for you to know what those other diagnosis options were, and why they were eliminated. You can get important insight into what's wrong with you by understanding them. An important reason to understand what diagnoses were eliminated — and why — is to confirm that all the evidence was correct. For example, it's possible your doctor misunderstood a symptom you experienced, or recorded your blood pressure incorrectly, or even mixed up your records with someone else's. It's even possible you weren't entirely open with your doctor, and that that may have influenced his decision. For example, you may learn he rejected one diagnosis option based on the fact that you aren't running a fever. Perhaps he didn't realize, however, that you were taking aspirin to reduce the fever, and fever is one of your symptoms after all. While your doctor explains why he rejected each of the other options, listen carefully for additional clues. It could be that the clues used to discard a diagnosis are wrong. By reviewing the evidence with your doctor, you'll be verifying that the correct evidence was used to determine your diagnosis. If it wasn't correct, then your doctor may decide to reconsider. Write down the names of the diagnoses your doctor rejected. Later, if the treatment you choose doesn't seem to be working, you may wonder if you have been misdiagnosed. 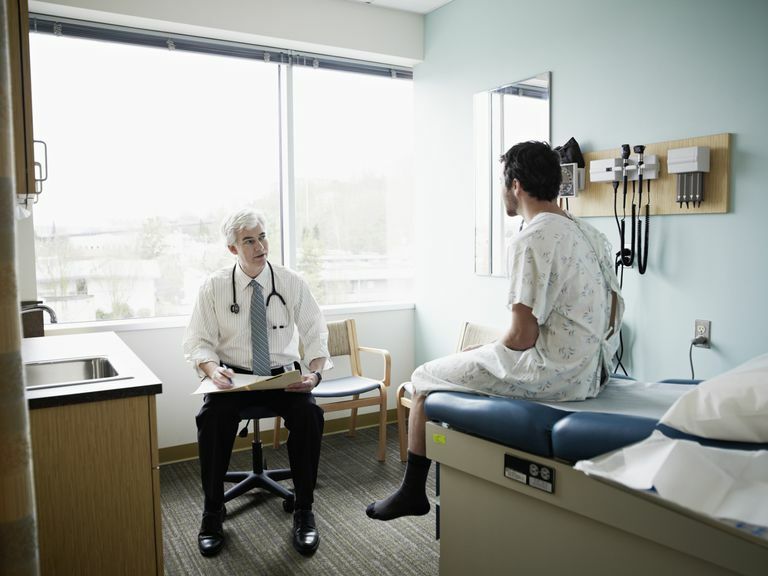 Misdiagnosis happens more often than we would like to believe, and knowing what your diagnosis' alternatives are can help you and your doctor hone in on a more accurate answer later, if necessary. Once you understand your diagnosis, know why it was determined for you, and are relatively sure it's correct, you'll want to review treatment options with your doctor. You'll also want to spend time learning more about your diagnosis and treatment options so you can partner with your doctor to make the best choice for your care. Empowered patients understand the concept of differential diagnosis, and use it to their advantage.